Criminal profiling, as it is today, was developed in earnest through the long-term effort and dedication of a number of FBI agents over the past three decades. The research that began with interviewing incarcerated killers in the late 1970's was not, however, the beginning of the story. Criminology has traveled a long, hard road to get where it is today, and it began with Cesare Lombroso. 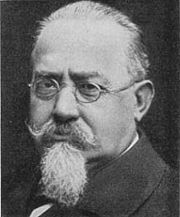 Sometimes referred to as the Father of Criminology, Cesare Lombroso was an Italian prison doctor in the late 19th century. He was the first professional to take a scientific approach to studying crime, demanding empirical evidence to support all theories presented. Considered the founder of criminal anthropology as well, he held strongly to the belief that criminal tendencies could be indicated by physical traits. His studies were based on Darwinian evolutionary theory, from which his operational definitions were developed. 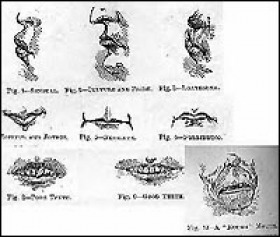 In 1872, Lombroso differentiated five types of criminals: Born Criminals, Insane Criminals, Criminal by Passion, Habitual Criminals, and Occasional Criminals. In 1902, Dr. Charles Goring, the Deputy Medical Officer of Parkhurst Prison in England, began conducting experiments of his own involving the observation and categorization of 3,000 prisoners where he worked. He declared that the time had come to quit the notion that criminals are a specific type of humanity, a resurfacing of brutish instincts marked by physical traits or stigmata. He argued that the criminal is subject to physical variations in appearance and is indistinguishable from the law-abiding citizenry. Dr. Goring concluded by 1913 that the vital component to the etiology of crime was defective physiology and intelligence. These traits being inherited would tend to infer that nature determines criminal tendencies. Goring was able to procure support for these theories from many other mental health professionals and the war of Nature vs. Nurture was begun. American psychiatrist Carl Murchison found that groups of criminals tended to have superior intelligence to that of white male groups who were drafted into the military. This 1928 revelation tended to add another facet to the study of criminology: that disordered personalities had more to do with crime than feeble-mindedness ever would. Finally, in the late 1930's, studies began to cease focusing on insanity or retardation and began to concentrate instead upon personality construction. 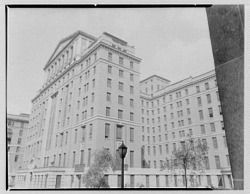 A study conducted at Belleview Psychiatric Hospital conducted from 1932 to 1965 used an examination of the internal mental and moral world of the offender in combination with an examination of external and environmental inputs to study the mind of a criminal. Dr. Walter Bromberg found personality patterns for overshadowed psychotic or defective diagnoses in criminals. This led to the creation of 15 personality diagnoses in general psychiatry, which we know as the Diagnostic and Statistical Manual of Mental Disorders (DSM). Bromberg suggested that acquisitive or destructive aggression, passive or subverted aggression, and psychological needs are responsible for creating criminal behavior. He asserted that criminal behavior patterns are not only very similar to the same patterns exhibited in normal behavior, but are actually built upon them. He believed that the external realities of life manifest as behavior. In other words, as you think, so shall you act. Social pressures, cultural standards, physical needs, and he patterns of life precipitate criminal actions. At the same time, the internal realities of behavior such as neurotic reactions, impulses, subconscious motivations, preconscious striving, and infantile regressions represent a precondition to criminal acts. A Massachusetts Treatment Center research team finally gave the world a taxonomic system for the classification of sexual offenders in the 1980's. This work was published after the Center had completed its 25-year study on recidivism which indicated important prognostic implications. The study included an examination of inmates' demographic information and globally assessed the inmates on various aspects of social competence, aggression, antisocial behavior, and offense style. Additionally, the research team investigated each inmate on the basis of clinical and behavioral symptoms to assess the presence, severity, and chronicity of these symptoms. At the same time this taxonomy was compiled and published, the FBI's Behavioral Science Unit (now the Behavioral Analysis Unit) was working on a study of their own, using extensive interviews with captured predators. The official study was conducted from 1978 to 1983 and included 36 murderers who had claimed a total of 118 victims between them. The FBI agents involved spent hundreds of hours questioning these killers on family, childhood, dating, sexuality, employment, hobbies, interests, goals, fears, and ideals. The agents also explored their dreams, rituals, and fantasies which would later be pivotal to the development of a profiling strategy for seemingly motiveless sexual homicides. From all of this data and experience, the FBI was able to discern distinct patterns of thought and behavior. These patterns then became a series of moulds which a crime scene's facts are plugged into for identification and analysis.